The highest level of pilot license there is. This license is required to act as a captain for a Major Airline, Regional, Commuter, and On Demand operation. No training is required for this license; a pilot need only meet the minimum requirements listed below. Beverly Flight Center, however, can help aid pilots in preparing for the required FAA Written Exam and/or the Flight Exam. What Can You Do With An Airline Transport Pilot Certificate? 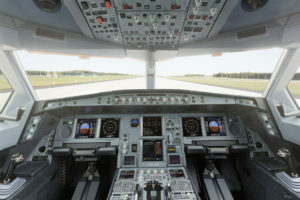 An Airline Transport Pilot is afforded the same privileges as a Commercial Pilot with an Instrument Rating. In addition, the pilot may act in the role as Captain for a Part 121 operation (Air Carrier) or a Part 135 operation (Commuter & On Demand).